This is SharonS. 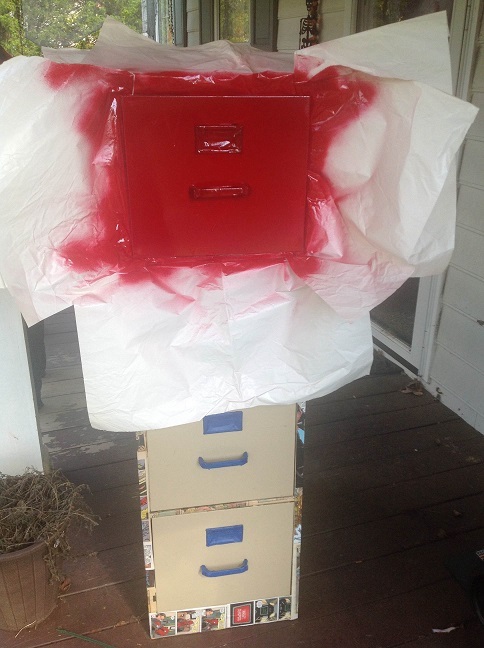 I needed a file cabinet for my new office and I wanted it to be fun and reflect what I Smell Sheep is about. 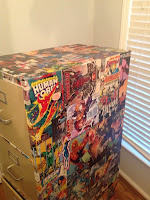 I decided to decoupage it with comic book pages/covers. 1. 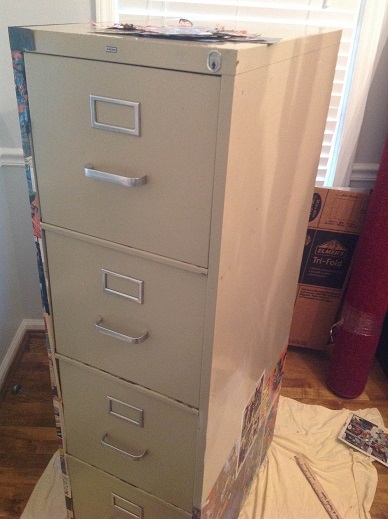 Had to find a file cabinet. I went to Restore and got this on sale for $10. 2. 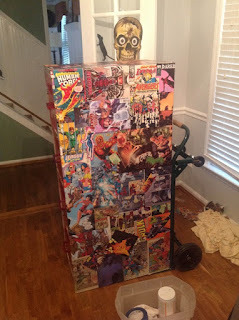 Searched how to decoupage. 3. 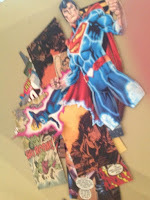 Bought the decoupage from AC Moore and picked up a bunch of comic books for $1/each at a local comic book show. Took some time to go through and pick out all the pages I wanted to use. 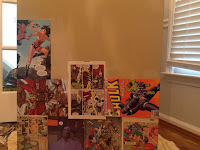 Then Holly (my daughter) cut out some pics. 4. Decoupauge! Didn't take very long. 6. Check out the awesome! I'll post pictures once I get the office finished! 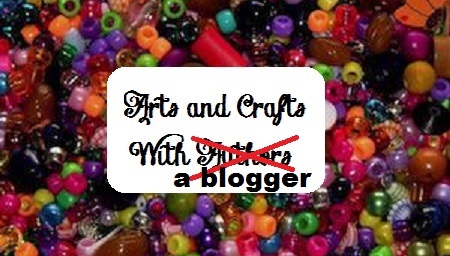 Labels: arts and crafts, arts and crafts with authors, Comics, decoupage, how to, nerd, office furniture, Say Wha? Those are great pictures. I just love it. 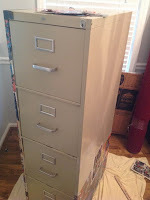 If I had a file cabinet in my office, I would so do this. Thanks! 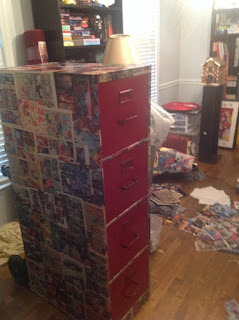 I've thought about doing part of my desk with book pages. I love the red! Keep it red! This came out fantastic Sharon! I love it. 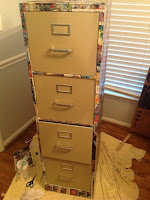 I've been wanting to do this with just plain old book pages and a book shelf. 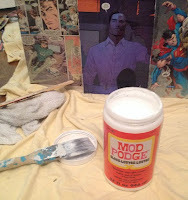 I thought about using book pages but I wanted to add a pop of color o the office :) be sure to post pics! That does look a lot of fun! I could use swag for this purpose I think. What will you put into that cabinet?